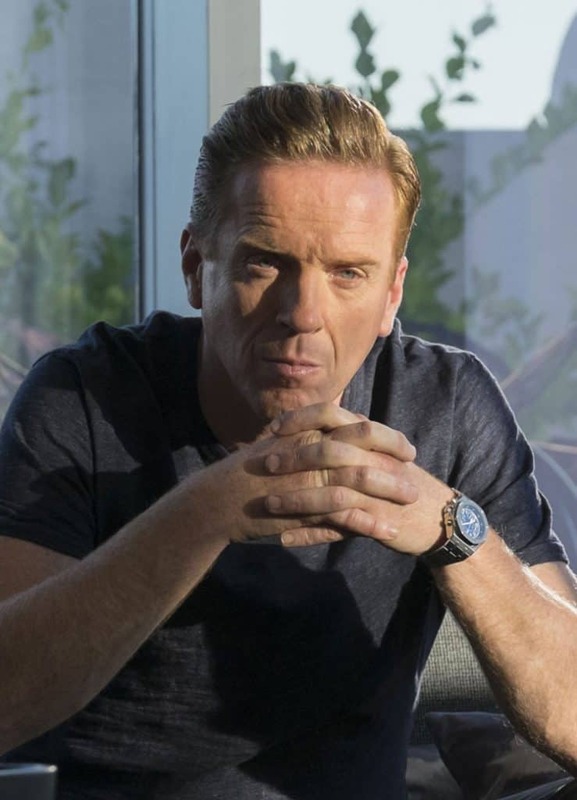 Bobby Axelrod is a beast when it comes to money, and if you have watched the show Billions, perhaps you are wanting to look, act and live large like him as well. His clothing fluctuates from pure style, to absolute casual, including some Metallica T-shirts I have seen him wear. But all the time he is wearing expensive watches, mostly from Audemars Piguet, but sometimes Cartier as well. Super expensive watches, yes. Because he is a billionaire after all! In this post I am going to show you exactly what models he is wearing, along with some screenshots from the show. And give you some options for more affordable alternatives – so you can wear what he wears, but without spending $20,000! One of the watches most often seen on Bobby’s wrists over the various seasons of Billions is this blue dial chronograph from Audemars Piguet. It is a seriously modern timepiece that will also cost Bobby an arm and a leg at around 20k. The hexagonal bezel with screws at every apex, is a trademark of this design and gives the Billions star a very powerful looking watch. Added to that is their hexagonal crown and pushers for the chronograph, and their signature tapisserie pattern, and you will know this watch the minute you see it. 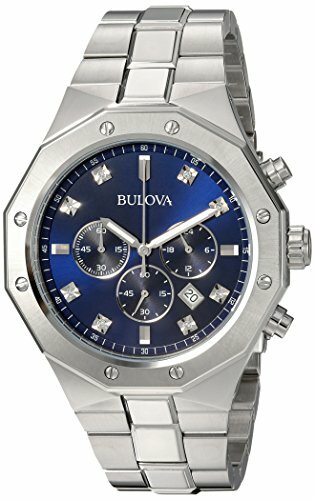 For most of us this watch is seriously unattainable, which is why I am also going to mention some more affordable options. First, there is the Bulova below. It is very similar to the above, but of course not an exact copy. And given it only costs some hundreds of dollars, it’s more likely in your price range. I have also written a comprehensive Royal Oak homage post, which gives you lots of other options as well. I recommend checking it out if you like this (or the next) watch. Audemars Piguet make some stunning, modern and eye-catching watches, and this bright blue chronograph from the Royal Oak Offshore collection is certainly one that caught my eye on Billions. Not only is there the signature hexagon bezel, but the blue motif on this watch has spread to all elements, including the absolutely stand-out blue rubber strap. The dial has their typical Méga Tapisserie patternin blue, with Rhodium-tone on the sub-dials and white gold markers. As much as I fell in love with this watch as soon as I saw it on Bobby’s wrist, at around thirty thousand bucks, I am not sure I will ever get to touch one, let alone own one! It is good to see that Billions team putting billionaire style watches on this wrist though, because many of the other watches he wears are a lot cheaper and more casual in comparison. 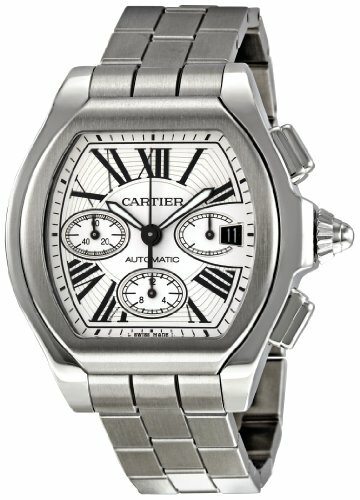 Back in the first season on Billions, Bobby was occassionally seen wearing this far more classic and old-school Roadster watch from Cartier. It is quite hard to get a clear shot of it, but it was certainly on his wrist a few times over that season and some others I believe. This is another expensive watch, of course, but not in the class of the Royal Oak. This one fetches, usually, less than 10k. It has an automatic movement of course, and an anti-reflective sapphire crystal. The dial is all class with curved Roman numerals to match the sweep of the case, and the chronograph sub-dials are oblong to fit with the overall style. The pushers remind me of the TAG Heuer Monaco a bit, with their raised rectangular cut, but it’s the large, sharp crown that stands out on this watch. This is the kind of watch I would expect to see Bobby wearing out to dinner with his wife or during a board meeting. But then he also has another, more casual side too.